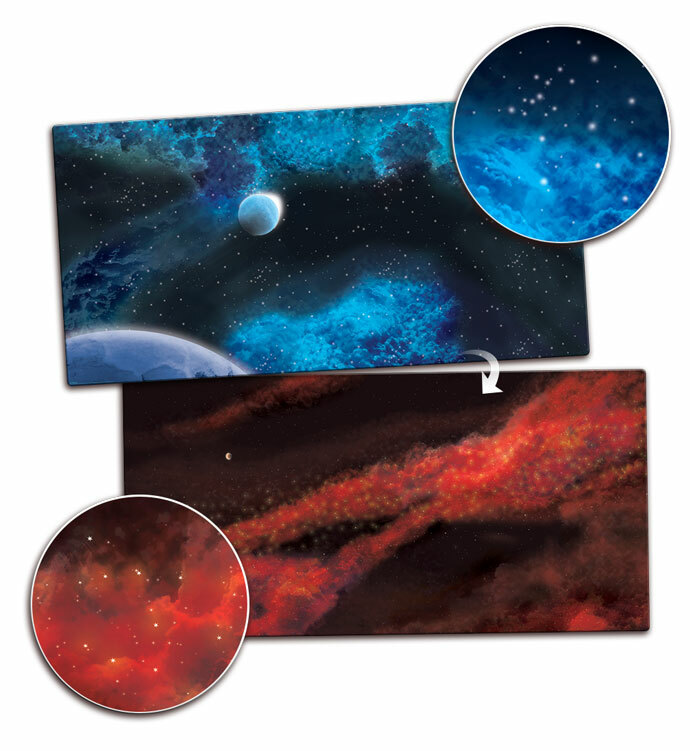 GF9’s series of Space Mats have returned and are now better then ever! GF9 has upgraded its line of Space Mats from vinyl to double-sided neoprene. Each mat has two different surfaces to fight your epic space battles on, doubling your value! 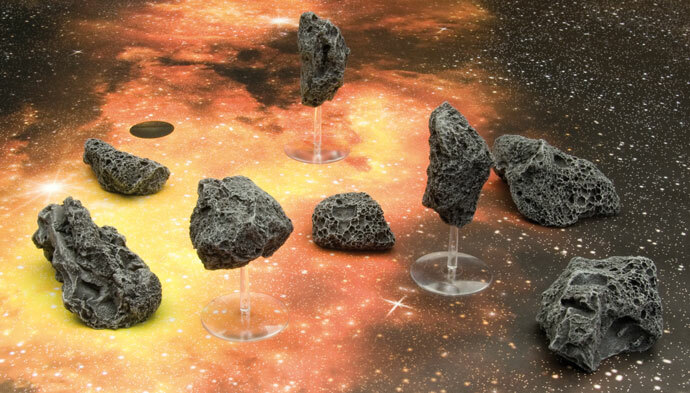 Further enhance your space battles with GF9’s 3D space terrain! Dodge dangerous asteroids and avoid imposing laser turrets as you battle your foe in far away galaxies or on the edge of the final frontier. GF9’s Battlefield in a Box space terrain is pre-painted and ready to use right out of the box. Above: GF9's Asteroids and Space Station Lasers will add some additional flavour to your battlefields. GF9’s double-sided Space Mats will be in stores and spaceports in May, reserve yours at your favorite game shop or here at the GF9 Online Store. GF9’s 3D Space Terrain is available now. 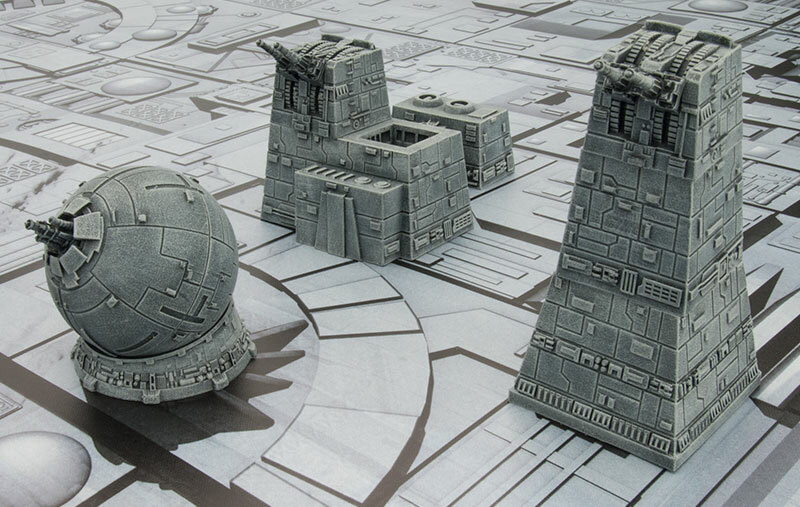 Left: The massive 6' x 3' Crimson Gas Giant / Frozen Star System gaming mat is perfect for any large battles, where you have an entire armada of ships battling it out. Below: These three 3' x 3' mats are designed are perfect for a squadron of small star fighters to engage in some furious dog fighting in the stars.